Our 17th Annual Fall Festival is Saturday, October 17th. Join us from 12-3 for free family fun. 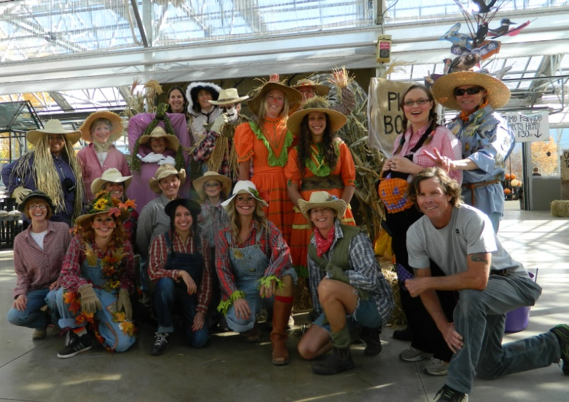 Enjoy face painting, hay rides, kid’s activities and a farmer’s market. Dress up in your favorite costume and join in the costume parade at 1:30. Bakers can enter our Pumpkin Pie Bake-off. Make your finest pumpkin pie and bring it to our expert judges upstairs at Marigold Café. Judging will be at 2:30. The bake-off winner earns a $50 MD gift card! Black Chokeberry: Clusters of dark berries form above glossy green foliage. Foliage is brilliant orange in autumn. Serviceberry: These purple berries are native to much of the mountain west. 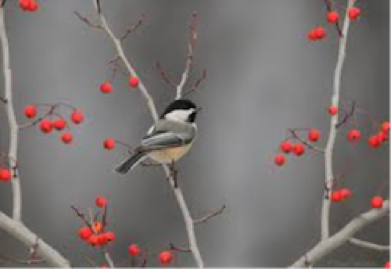 The fruit attracts many species of birds including cedar waxwing, gross beaks and grouse. Willow: This hardy shrub provides excellent cover for many birds. Chokecherry: Another native, with profuse clusters of dark red berries. Viburnum: This easy to grow shrub has beautiful red clusters of berries, persisting into winter. Dogwood: Birds are attracted to the white berries which form late-summer. Hawthorn: This native shrub bears dark purple berries late summer. Hawthorns are one of the first shrubs to bloom in the spring bearing small clusters of white flowers. 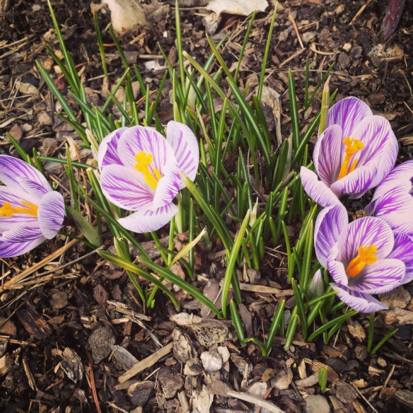 Plant bulbs: Wake up your garden next spring with colorful daffodils, hyacinths, crocus and tulips. Plant bulbs any time in October and enjoy pops of color for years to come. 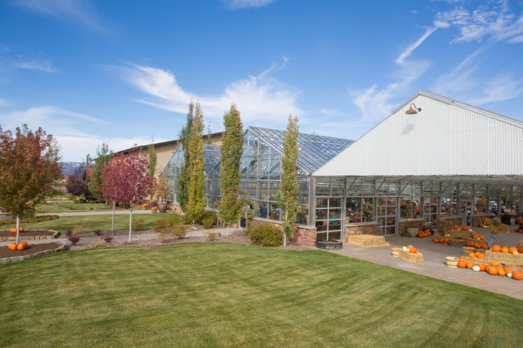 Water: Cold and dry late fall conditions can be deadly for many ornamental plants. Well-hydrated roots increase a plant’s chance of survival, before our seasonal blanket of snow covers the ground. Pull out the hose and thoroughly soak the root zone. Continue to water every week or two (depending on the weather) until the snow stays on the ground. This is especially important for evergreens as they continually loose moisture through their needles. Spread wildflower and grass seed: Fall is the best time for seeding. Many wildflowers require a period of freezing temperatures to germinate. Wildflower and grass seed will lay dormant until spring. Replenish veggie beds: Vegetables are heavy feeders, depleting the soil of vital nutrients. Adding compost, manure or a mixture will replenish the nutrients and help your veggies to be productive once again next season. 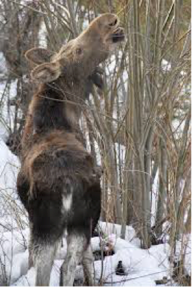 Protect from critters: Protect trees and shrubs from browsing deer and moose by spraying with Plantskydd™ repellent. Plastic tree trunk protectors will keep chewing animals like voles from damaging the trunks of your trees. Broadcast a granular repellent like Repellex™ or Molemax™ over your lawn to reduce the tunneling of voles. Although these measures don’t guarantee a damage-free landscape, they certainly can reduce the extent of winter damage. Dig a hole 2-3 times as deep as the height of your bulb. For example, if your tulip bulb is 2 inches tall, dig down 4-6 inches. If you are planting bulbs close together, dig one bigger ‘pit’ to accommodate multiple bulbs. Sprinkle bone meal or bulb food in the bottom of the hole. If voles are a problem in your area, add a granular repellent like Plantskydd™ granular to the hole too. Place your bulb at the bottom of the hole, pointy side up. Pat yourself on the back and enjoy the colorful show next spring! Homegrown spuds star in this rustic potato side dish. Use similarly-sized potatoes to ensure even cooking. Place potatoes and bay leaf in a large pot. Cover with water and boil until potatoes are very tender about 10-15 minutes, depending on the size of your potatoes. Meanwhile, whisk together the melted butter and cream cheese. 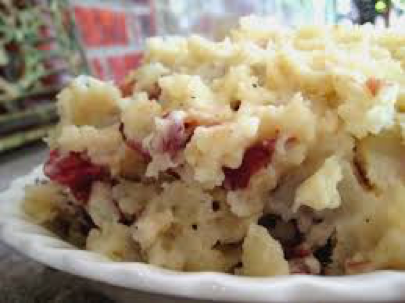 Drain potatoes well, reserving 1/2 cup of the cooking liquid and discarding the bay leaf. Return potatoes to the same pot. Using a sturdy wooden spoon, smash the potatoes, breaking up the skins and flesh. Stir in ¼ cup of the reserved potato liquid, melted butter and cream cheese. Continue to stir, until all ingredients are incorporated. Add more cooking liquid, a few tablespoons at a time until desired consistency is reached. Stir in salt and pepper to taste. Sprinkle with chives and serve immediately. Pumpkins: Our Pumpkin patch is back! 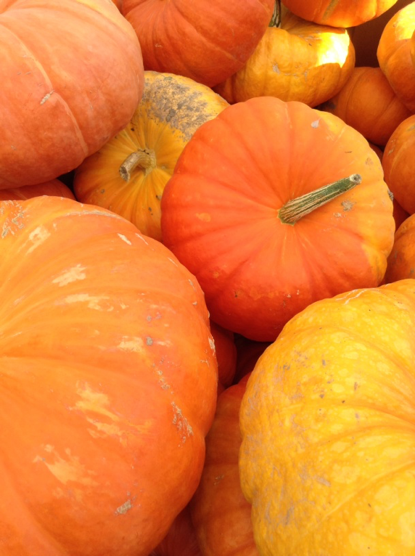 Check out our Idaho-grown pumpkins and chose the perfect ones to decorate, carve or eat! New this year is the gorgeous ‘cinderella’ pumpkin. Halloween: Get festive this year with our selection of spooky accessories, toys and decorations. Our favourite? The cozy and fashionable spider web scarf! Yard Scoops: These hand-held raking tools make quick work of leaf piles.